Trio or quartet of saxophone, bass, either piano, guitar, or vibraphone, and sometimes drums or Latin percussion. Styles include contemporary jazz, swing, mainstream, bebop, Latin jazz, salsa, and Dixieland, with vocals in six languages, including English, Japanese, and Spanish. Sí, se canta en español. 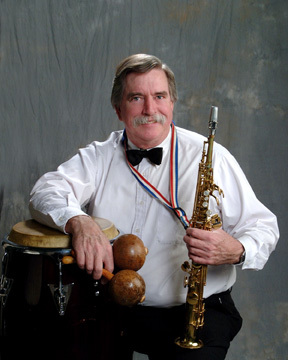 Bob Murphy has been a standout performer in the Bay Area since the early seventies. He received a glowing review in the Stanford Weekly which called his performance "a funkolicious meld of precision and energy." He surrounds himself with some of the Bay Area's finest musicians, resulting in a polished, professional sound. "Thank you for your wonderful music. It was exactly what I had in mind. I would be happy to give you a reference any time".
" I've never seen people enjoy the music at lunch as much as they did yesterday. The clapping and cheers were genuine and everbody asked me where I had found you". "Thank you for a wonderful musical wedding. Everyone was impressed. I would surely recommend you".